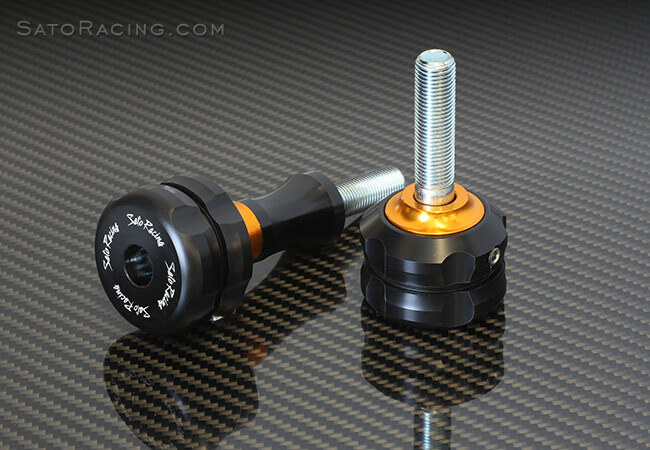 Sato Racing delivers these specially designed RACING low profile frame sliders with custom CNC machined billet aluminum mounting brackets that are anodized black with gold anodized slider attachments. Slider replacement is easy with twist on large diameter bases. 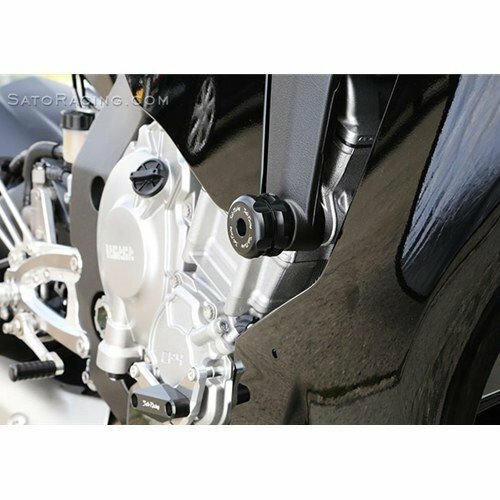 The frame sliders themselves are made of tough, low friction, abrasion resistant Delrin, with a special relief for energy absorption in an impact, in Revolver style (fluted). All provided hardware is stainless steel or chrome-moly steel for strength and corrosion resistance. 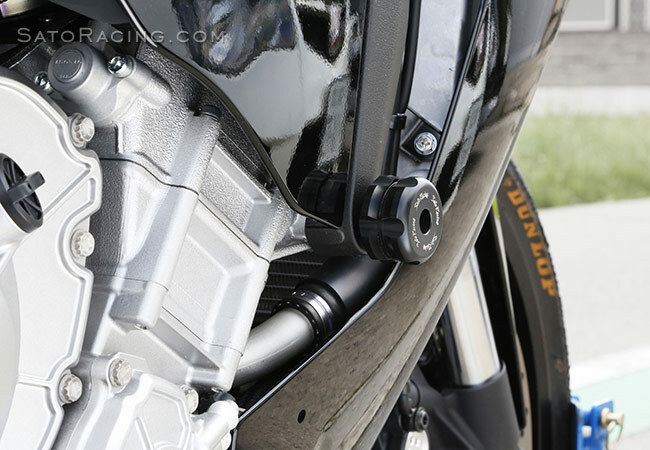 The billet brackets distribute loads to the frame for increased strength. 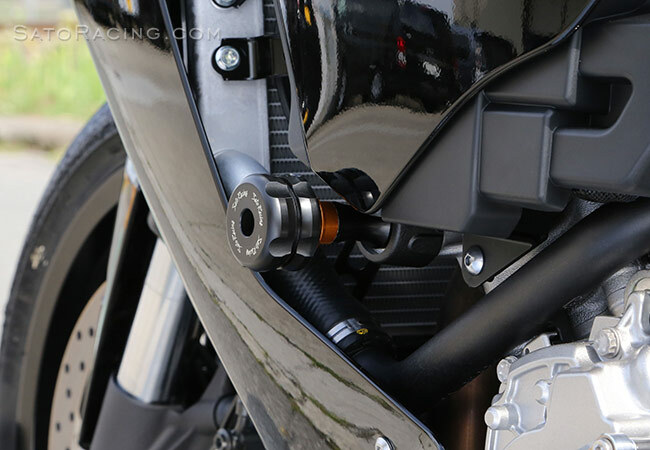 Spacers were carefully chosen to optimize the length of the sliders, minimizing the risk of a flip over - these RACING sliders protrude less than standard sliders!!! 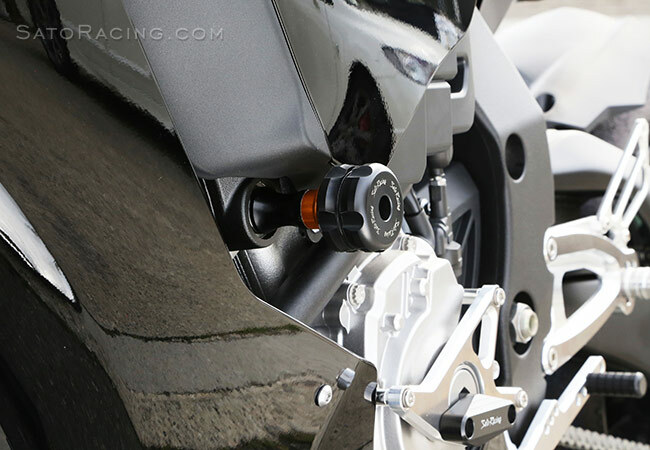 No fairing modifications required for installation.